Remember that one time a week or so ago where I gushed about how lucky you were because you got TWO posts that week? Turns out I lied. My bad. I was having a grand ole time in The Big Apple, and since I happen to completely lack any discipline, the follow up never happened until now. But I was being productive I swear. My boyfriend and I filmed a ton of stuff, a few things for this very blog and something we’re hoping to submit to a few film festivals around New York. I’ll make sure to keep you updated. 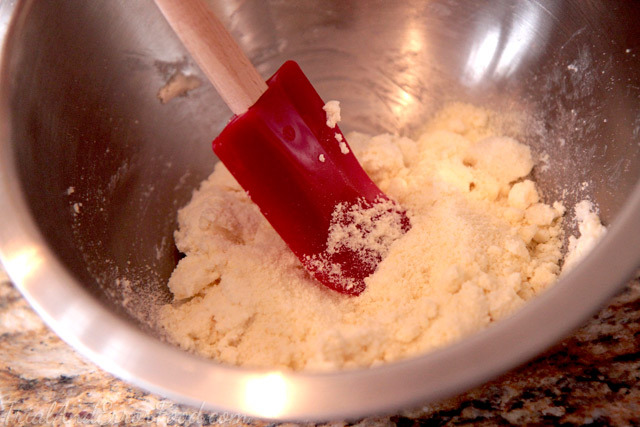 In the meantime, make sure to check back in on Thursday for the very first recipe video. That’s right. Video. I’m pretty sure you’re going to love it. 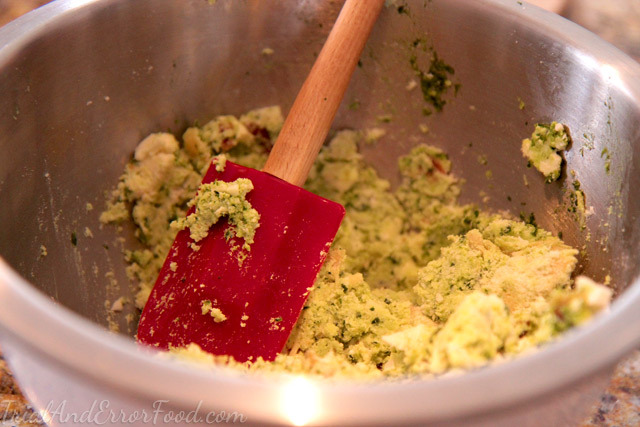 For now, as promised a really long time ago, I have a perfect way for you to put that homemade pesto to good use. I love this recipe. It’s so flavorful, and since each shell is packed full, it only takes a couple to be satisfied which also makes it a perfect recipe to share with a big group of friends. 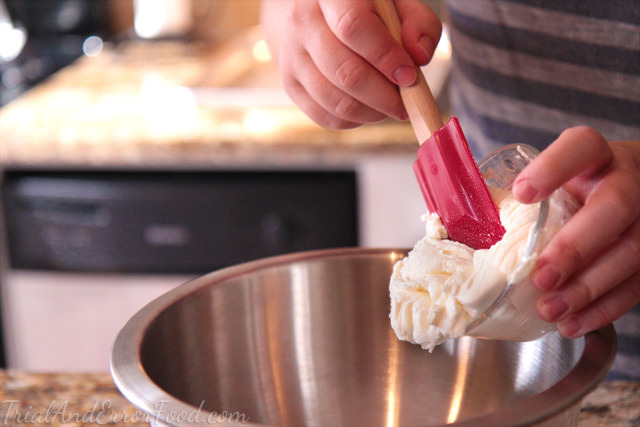 Make sure to check the orange drop down box at the end of the post for the recipe! 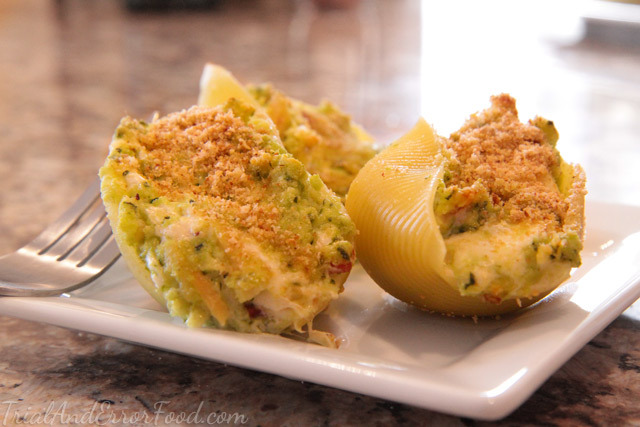 You will need jumbo shells, mozzarella cheese, cooked and shredded chicken, cooked and diced bacon, ricotta cheese, pecorino cheese, parmesan cheese, and fresh pesto. 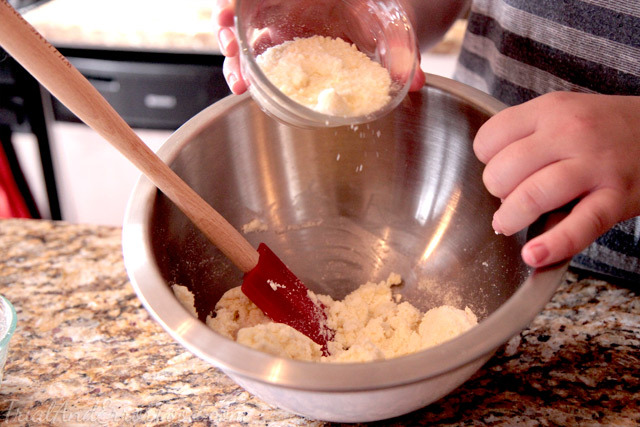 Start by plopping your ricotta in a medium bowl. Spread it out a bit. 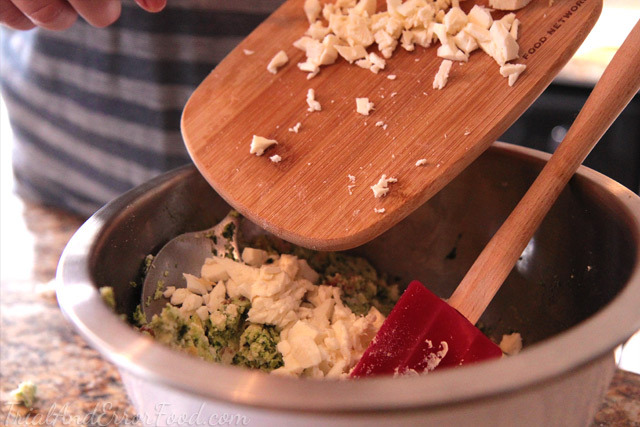 Make a cheese bed of sorts to welcome the other ingredients to the bowl. Chicken and bacon next. By the way- I figured you’d all know how to cook up bacon by now, and I just simply cooked the chicken through on the stove with just a little salt and pepper and then shredded it with a couple of forks. 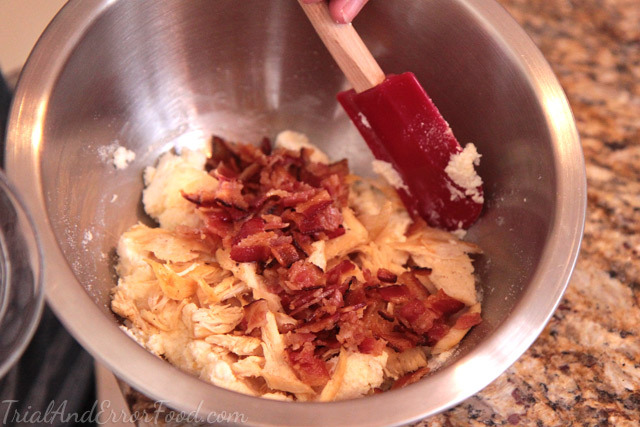 Creating entire steps for cooking plain chicken and bacon seemed a little unnecessary to me. Saves us all a little time, right? 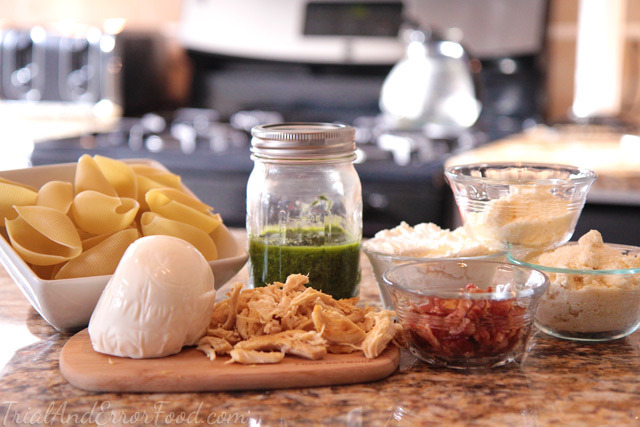 And finally your mozzarella. Combine. 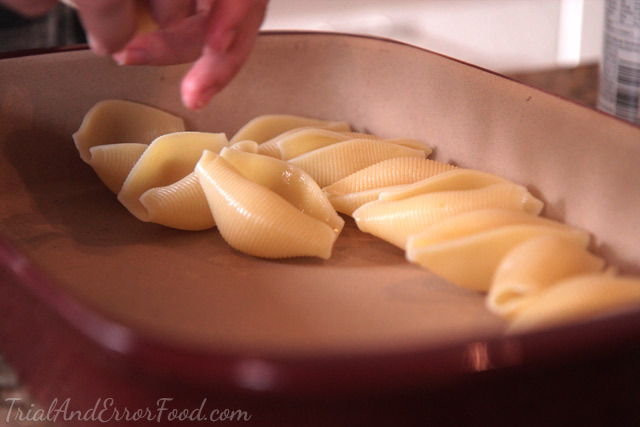 Boil your jumbo shells until they’re al dente. 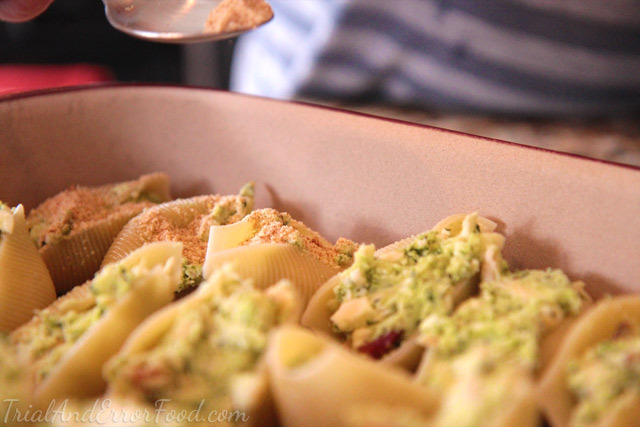 Line ‘em up in a baking dish of your choice. And stuff them until they’re full of all that goodness. Also- I suggest sprinkling the tops with breadcrumbs. It takes it to a whole new level. No lie. 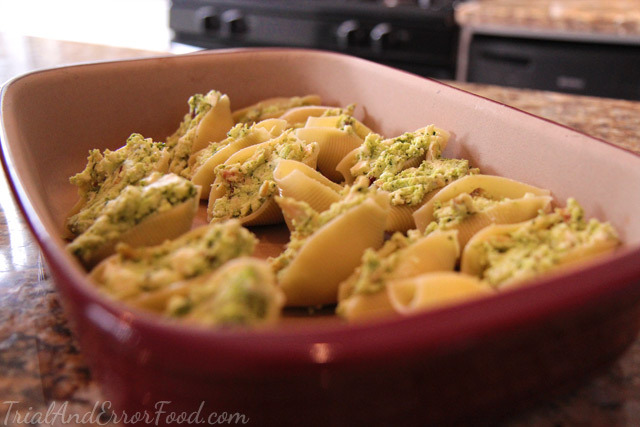 And pop ‘em in the oven for 35-40 minutes. 2. 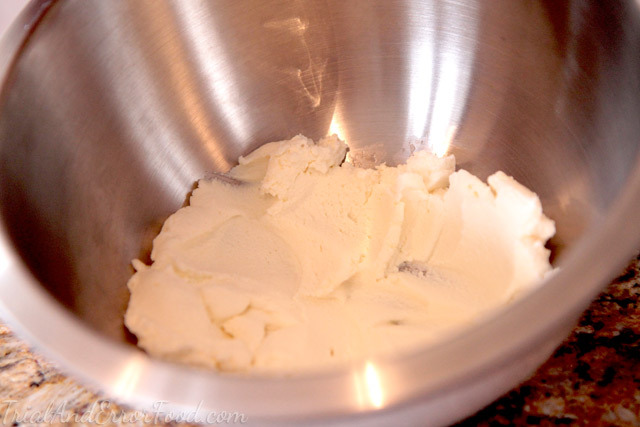 Add ricotta cheese to a medium bowl. 3. 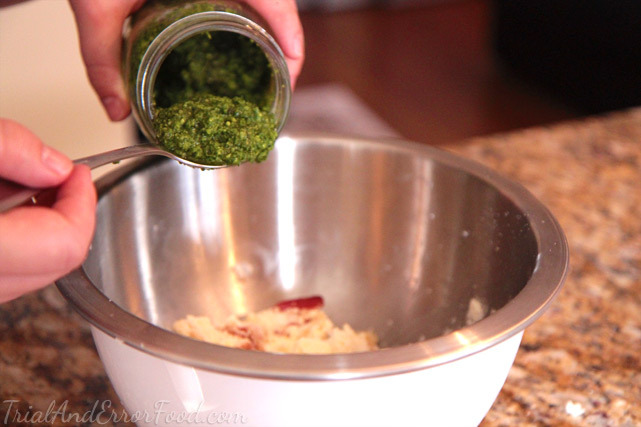 Add in the pecorino, parmesan, mozzarella, bacon, chicken and pesto. 4. 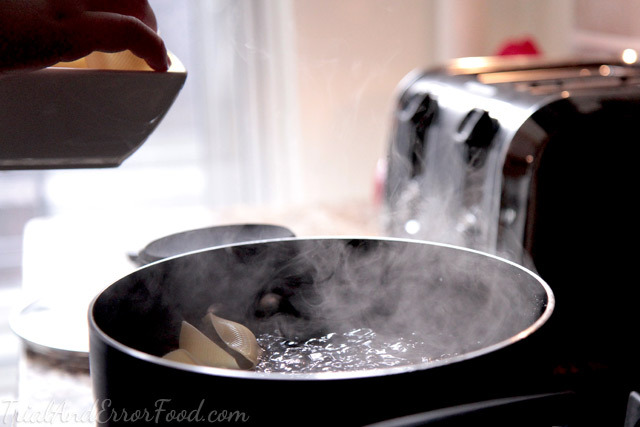 Boil shells in water until al dente. 5. 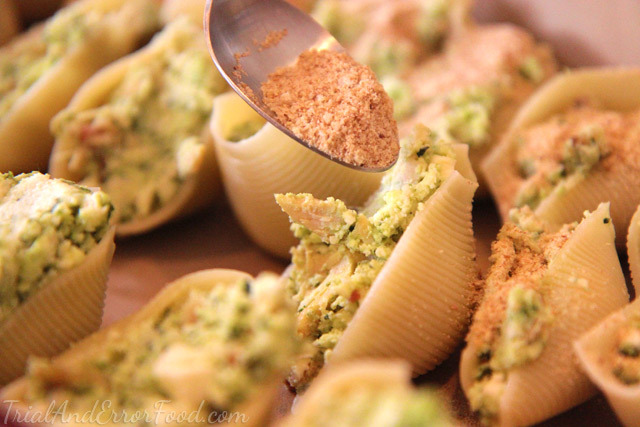 Arrange shells in a baking dish and, using a spoon, fill each shell with cheese filling. 6. 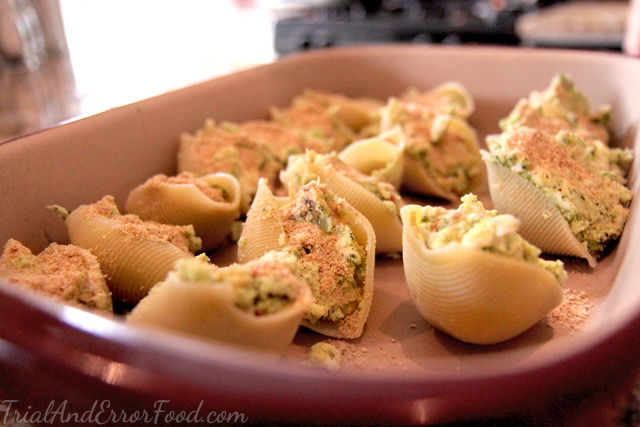 Top each shell with breadcrumbs. I’m pretty convinced that both you and your mother would love these.